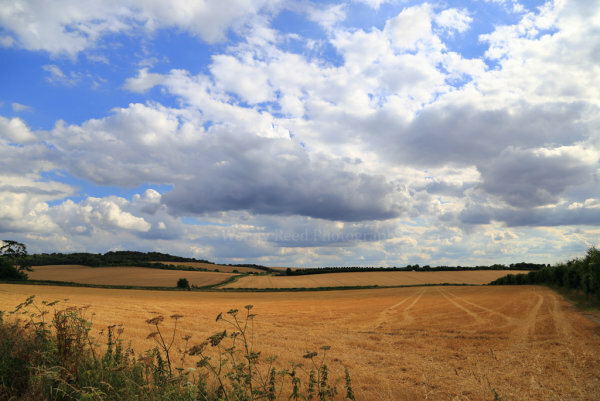 The crops, ripe and ready to harvest, are a beautiful golden brown. I walked the Ewelme Loop, part of the Chiltern Way. This photo was taken after descending from the Swyncombe Downs and just before getting back to Ewelme. The sun was quite low in the sky enhancing the colour of the fields and the undersides of the clouds were an inky blue.